The 2007 Mozambican flood began in late December 2006 when the Cahora Bassa Dam overflowed from heavy rains on Southern Africa. It worsened on February 22, 2007 when the Category 4 Cyclone Favio made landfall on the central province of Inhambane; experts tracking the cyclone predicted that it would worsen flooding in the Zambezi River valley. The Zambezi River broke its banks, flooding the surrounding areas in Mozambique. The Chire and Rivubue rivers also flooded.80,600 people had been evacuated from their homes in the Tete, Manica, Sofala and Zambezia provinces by February 14. By February 22, the United Nations Office for the Coordination of Humanitarian Affairs reported that approximately 121,000 people had been displaced by the flooding. Some people refused to leave their homes and livestock. There were 29 confirmed casualties and a further 10 unconfirmed deaths.In early February, the Mozambican authorities did not think the flooding would be as devastating as the 2000 and 2001 floods. Paulo Zucula, head of Mozambique's national relief agency, said "We expect more water than we had in 2001. The situation is deteriorating and it will get worse but this time we are better prepared than in 2001". The World Food Program (WFP) estimated that up to 285,000 people may require food aid. Delivery of food aid by the WFP began on February 15. A single UN helicopter was made available for the delivery of aid to evacuation centres. However, thousands of people had not yet received food or drinking water, and the threat of disease outbreaks had also increased; Paulo Zucula retracted his earlier comments about readiness, saying "We were not prepared... it's another disaster". The 2010 Guangxi Wildfire occurred in western Guangxi, China during that year's spring season. The 2016 North Korean floods began in late-August 2016 as a consequence of Typhoon Lionrock, killing at least 525 people, and destroying more than 35,000 homes, leaving over 100,000 people homeless, mainly in the North Hamgyong Province as a result of the Tumen River, near the borders with China and Russia, breaking its banks, according to the United Nations Office for the Coordination of Humanitarian Affairs and Red Cross.A UN official in North Korea said the scale of the disaster was "beyond anything experienced by local officials". According to a statement published on 11 September, 2016, by the Korean Central News Agency (KCNA), North Korea's official state media, the country's northeast has been affected by the "heaviest downpour" since 1945, with "tens of thousands" of buildings destroyed and people left homeless and "suffering from great hardship". Cyclonic Storm Sagar was the strongest tropical cyclone to make landfall in Somalia in recorded history, and the first named cyclone of the 2018 North Indian Ocean cyclone season. Forming on May 16 east of the Guardafui Channel, Sagar intensified a cyclonic storm the next day as it gradually organized. The storm turned to the west-southwest and traversed the entirety of the Gulf of Aden, making landfall over northwestern Somalia farther west than any other storm on record in the North Indian Ocean. Sagar weakened into a remnant low on May 20. The storm first affected Yemen, brushing the coast with heavy rainfall and gusty winds. One person was killed when her house caught fire. In Somalia, Sagar dropped a years' worth of rainfall, or around 200 mm (7.9 in). The rains caused deadly flash flooding that washed away bridges, homes, and thousands of farm animals. Sagar killed 53 people throughout Somalia – 3 in Puntland, and 50 in Somaliland. In neighboring Djibouti, heavy rainfall killed two people and damaged 1,800 houses, forcing 3,000 people to leave their houses. Damage in the country reached US$30 million. Sagar's rainfall extended into eastern Ethiopia, damaging schools and houses, and causing a landslide that killed 23 people. Djougoun is a village and rural commune in the Cercle of Kita in the Kayes Region of south-western Mali. The commune contains 5 villages and in the 2009 census had a population of 8,622. The Alert and Coordination System (GDACS) is a joint initiative of the United Nations Office for the Coordination of Humanitarian Affairs (OCHA) and the European Commission that serves to consolidate and improve the dissemination of disaster-related information, in order to improve the coordination of international relief efforts. It was established in 2004 and is a multi-hazard disaster monitor and alert system for earthquakes, tsunamis, floods, volcanoes, and tropical cyclones. It was created to reduce the various monitor websites for the different disaster types. It started as GDAS, but was later coupled with the coordination information system of OCHA (the OCHA Virtual OSOCC). GDACS collects near real-time hazard information and combines this with demographic and socio-economic data to perform a mathematical analysis of the expected impact. This is based on the magnitude of the event and possible risk for the population. The result of this risk analysis is distributed by the GDACS website and alerts are sent via email, fax, and SMS to subscribers in the disaster relief community, and all other persons that are interested in this information. The Head of the OCHA Office in Central African Republic is the highest post in the tiny African country for the United Nations Office for the Coordination of Humanitarian Affairs, nevertheless a key post in light of the country's current humanitarian emergency. A Humanitarian Information Centre (HIC) was a common service to the humanitarian community managed by the United Nations Office for the Coordination of Humanitarian Affairs (OCHA). HICs were operated in coordination with a number of partners which may include the United Nations Joint Logistics Centre (UNJLC), the Swedish Rescue Services Agency (SRSA), the European Community Humanitarian Office (ECHO), and the NGO MapAction. According to the archived HICs website, the last time a HIC was set up was during the conflict in Myanmar. It remained operational between May and December 2008. IRIN (formerly Integrated Regional Information Networks) is a news agency focusing on humanitarian stories in regions that are often forgotten, under-reported, misunderstood or ignored.Until 1 January 2015, IRIN was a project of the United Nations Office for the Coordination of Humanitarian Affairs (OCHA). IRIN aims to create greater awareness and understanding of regional issues and events, and to contribute to better-informed and more effective humanitarian action, media coverage and advocacy. The International Search and Rescue Advisory Group (INSARAG) is a network of disaster-prone and disaster-responding countries and organizations dedicated to urban search and rescue (USAR) and operational field coordination. It aims to establish standards and classification for international USAR teams as well as methodology for international response coordination in the aftermath of earthquakes and collapsed structure disasters. The INSARAG Secretariat is located in the United Nations Office for the Coordination of Humanitarian Affairs (OCHA). The Juba Initiative Project is an ad hoc funding mechanism funded by several world donors, to support the peace talks between the Government of Uganda and the opposition group Lord's Resistance Army, which resumed in Juba, Southern Sudan, in May 2007.The revived talks, mediated and hosted by the Government of Southern Sudan, are supported by the Special Representative of the United Nations Secretary-General for LRA-affected areas, Joaquim Chissano. Logistic support is provided by the United Nations Office for the Coordination of Humanitarian Affairs, whose Juba office is headed by Eliane Duthoit. OCHA manages the fund on behalf of the Southern Sudan Government. Nad Ali or Nad-e Ali is a district in Helmand Province, Afghanistan. Marja is an unincorporated agricultural district in Nad Ali. The area is irrigated by the Helmand and Arghandab Valley Authority. A small town of the same name lies 11km to the west of the Helmand River, at the coordinates shown at the top of the page. The village of Shin Kalay has made advances in the education of children that was recognized and published by the United Nations Office for the Coordination of Humanitarian Affairs (UNOCHA). ReliefWeb is the largest humanitarian information portal in the world. Founded in 1996, the portal now hosts more than 720,000 humanitarian situation reports, press releases, evaluations, guidelines, assessments, maps and infographics. The portal is an independent vehicle of information, designed specifically to assist the international humanitarian community in effective delivery of emergency assistance. It provides information as humanitarian crises unfold, while emphasizing the coverage of "forgotten emergencies" at the same time. Its vision and strategy aim to make ReliefWeb a “one-stop shop for the global humanitarian community." Souleymane Beye (born 1971) is a Senegalese official with the United Nations. Beye has spent most of his life in Rome and London.The first part of his career was with the World Food Programme, for which he worked in Guinea and the Sudan. In 2005, he joined the United Nations Office for the Coordination of Humanitarian Affairs (OCHA), and became head of the OCHA office in Bangui, Central African Republic, until December 2006. In 2008 he took on the position of Humanitarian Affairs Officer with the United Nations Integrated Office in Burundi.He is the son of Gora Beye, United Nations Retiree (Head, FAO. Research and Technology Development Service, Rome) and author of Impact of Foreign Assistance on Institutional Development of National Agricultural Research Systems in Sub-Saharan Africa. Telecommunications for Disaster Relief (TDR) is a proposal by the International Telecommunications Union to establish worldwide standards of interoperability and availability of emergency communications. The notion of establishing such standards was spurred in part by the 2004 Indian Ocean earthquake and tsunami which devastated Indonesia. 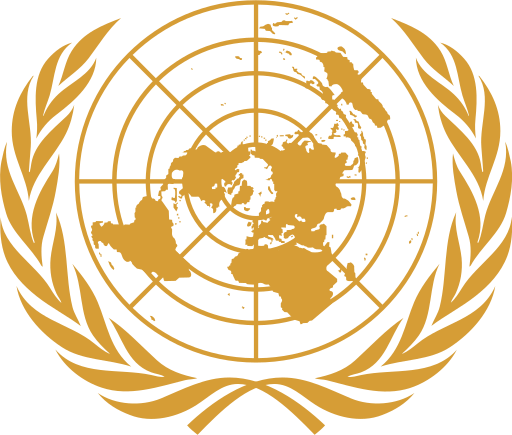 The ITU assigned country code +888 for TDR, administered by the United Nations Office for the Coordination of Humanitarian Affairs. Numbers are assigned for the duration of a particular relief activity only, and may be reused for a future event.